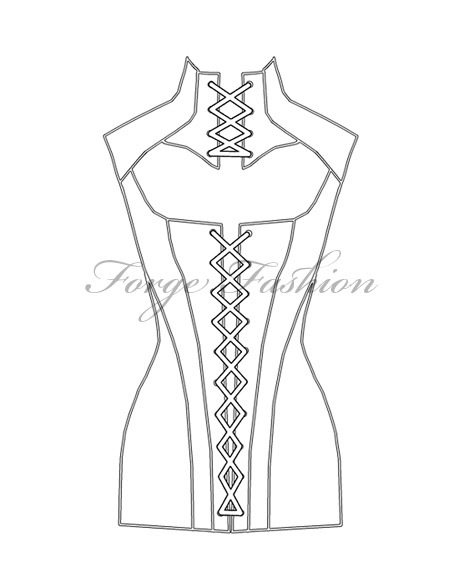 Now instead of my traditional methods of pattern drafting I decided to try something a little different. 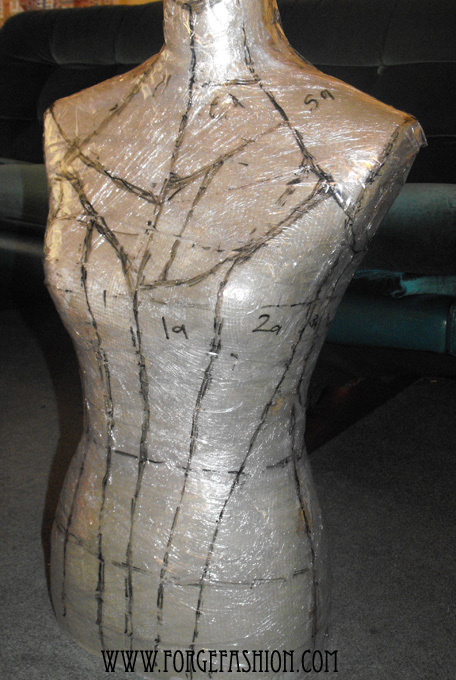 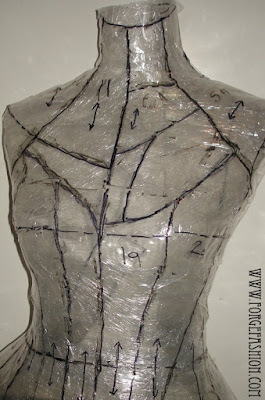 Based loosely on the duct tape method I've seen all over the net, I set about wrapping my mannequin and marking out my desired pattern lines. 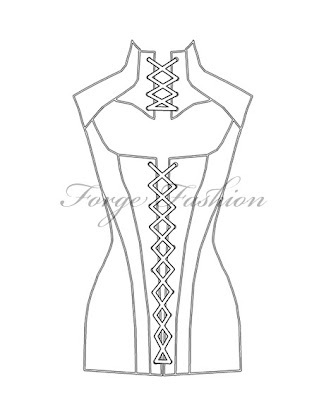 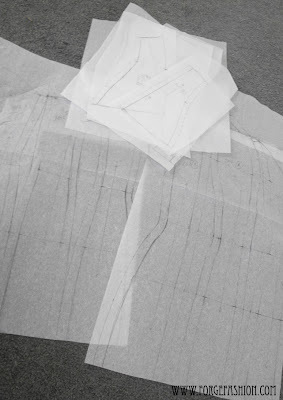 There are actually x2 separate corset patterns marked out, being that only half the body is required for each pattern (I'll get back to the second one in another post). 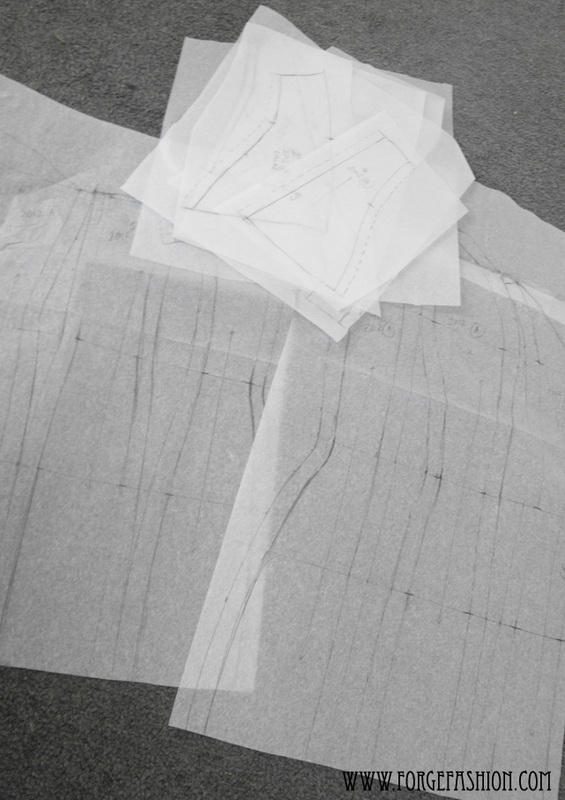 Of course it still ends up a paper pattern anyway - so I can add the seam allowances.